This is a busy weekend on and around Beacon Hill, with events including music, BBQ, lawn bowling, and more taking place throughout the next few days. Today (August 26), the US National Lawn Bowling Championships continue at Jefferson Park through August 28. Here’s the schedule of events. All games are open to the public. Tonight at 6:30 p.m., the Beacon Blues and BBQ starts at the Garden House, 2336 15th Ave. S. On the menu are Quarter House BBQ glazed chicken, salads, and dinner rolls, catered by Gourmet Your Way. The meal is followed at 7:30 pm by an acoustic concert featuring the Smokin’ J’s. The concert is $10 (free for members of ROCKiT space and kids under 12), and the price for dinner and the concert together is $22. Saturday, August 27, at 9 a.m. is the Second Annual Beacon Avenue Health Walk, a benefit for Japan earthquake relief. The walk will begin at Jun Hong Kung Fu (4878 Beacon Ave. S.), and then take the Beacon Avenue walking path south to Van Asselt Community Center (2820 S. Myrtle St.) for a water stop, and back to Jun Hong Kung Fu. The total distance is approximately three miles, and the event should finish at noon. Registration for the event closed on August 25. 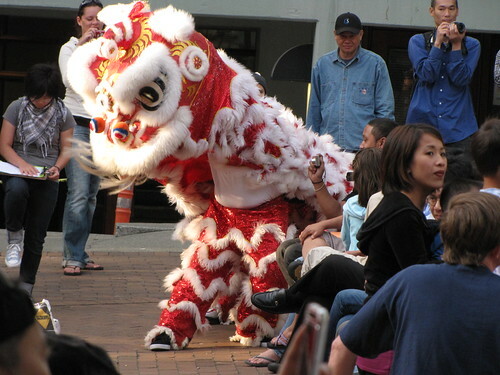 Just north of the Hill, on Saturday night, is the Chinatown-International District Night Market. The Market will include local vendors of arts and crafts, as well as international cuisine. Performances will include Chinese lion and dragon dances, Brazilian and traditional martial arts, live painting demonstrations, and a free outdoor showing of the new Karate Kid movie at 8:45 p.m.
On Sunday, August 28 from 1-6 p.m., the final Beacon Rocks! 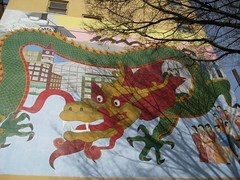 music event of 2011 comes to Roberto Maestas Festival Street (S. Lander St., just north of Beacon Hill Station). Along with the usual musical performances, this event will include a ceremony to rename Lander Festival Street as Roberto Maestas Festival Street. Seattle Mayor Mike McGinn, representatives from El Centro de la Raza, and other dignitaries will attend, and new memorial street signs will be unveiled during the ceremony. The event will also feature bubbles for the kids and a beach ball volley contest with prizes. ROCKiT space will be hosting a clothing exchange at Beacon Rocks! to help neighbors of all ages and sizes prepare for the new school year, so bring new or gently used clothing to trade. Leftovers will be donated to Wellspring Family Services. Everyone and all sizes are welcome.